French food is not only baguettes and croissants or snails and frogs legs. Try one of Berlin’s gorgeous French restaurants or cafés and taste French cuisine the way it is supposed to be. The French place a heavy influence on taking time to enjoy a meal. The food is freshly and expertly prepared and often matched with French wines, and those wines with amazing cheeses. 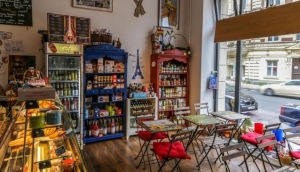 In Berlin, it’s not all high end Michelin starred French restaurants, although they are of course available, Berlin has quite a few French cafés that serve a more relaxed French dining experience and a much more affordable price.